In this post, I want to show you really quick one of the things that I have done for my most recent course on Udemy, WordPress Made Easy: Plan, Build and Launch Your 1st WordPress Website for Your Personal Brand in 1 Hour. Specifically, testing out the quality of one of the course videos. Now, why am I doing that? I want to do that so that I can make sure that I don’t spend all my time recording the whole course and then find out that the audio settings or video settings are not up to the required standard for Udemy. So, it’s important that you do this step before you start really building your course. 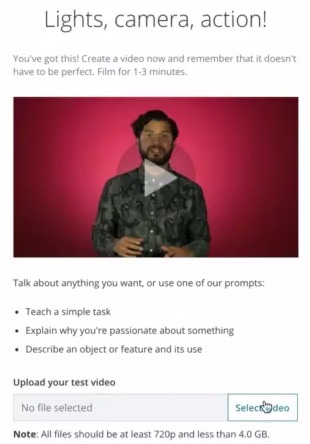 How do you test out the quality of your course video on Udemy? 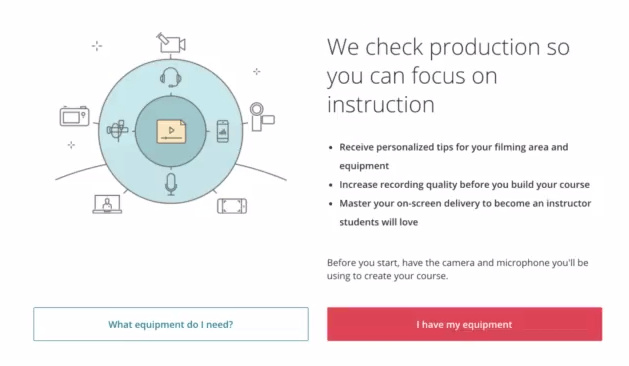 You can access the course video quality test from Udemy here. You can also do a quick Google search for it. Once you access the test, it opens up with a screen that says, “We check production, so you can focus on instruction,” and I like that. Then, it asks whether you need help with choosing your equipment or if you already have the equipment that you need. I’m just going to click “I have my equipment”. If you don’t have any equipment and you’re looking, it’ll probably give you some recommendations. 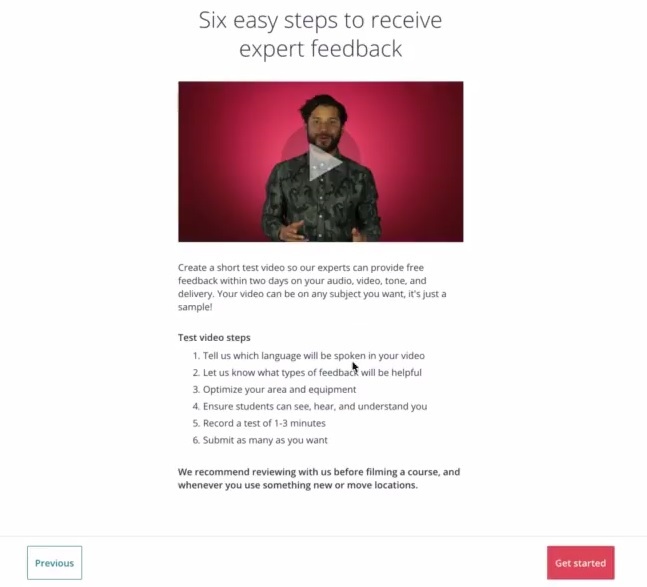 On the next screen, it shows a video that’s an overview of the six steps that you need to go through to submit your test video and receive feedback. After reading the instructions and watching the video, you can then click on “Get Started”. 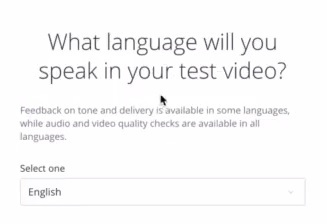 First, it’ll ask what language you’ll use in your test video. Select one from the drop-down menu and click on Next. Next will be the feedback type. What feedback will be helpful? 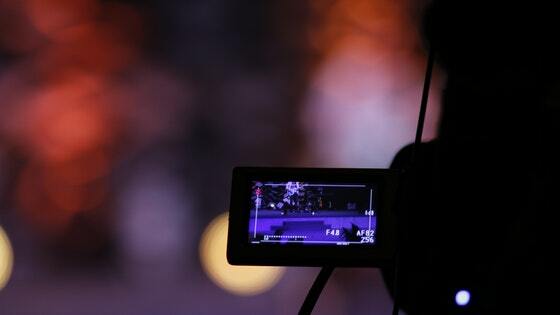 You can choose between video production, audio production, and delivery, or you can select all three. I’ve kept all three even though my video test submission is really just a computer screen. Then, just click on Next. 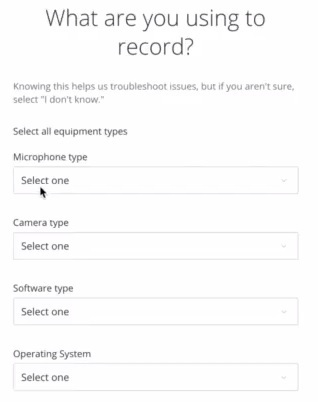 Then, it’ll ask what type of equipment you’re using to record. You would need to select what micropohone, camera, software, and operating sytem you are using. I am using a Blue Yeti mic, and I highly recommend it. It’s a great budget-friendly microphone. For the camera, I’m using a Logitech C930. For the software and OS, I am using Screenflow and a Mac. When you click on Next, you’ll get some tips or advice on the equipment that you have selected. Then, it’ll show you a set of videos with some tips and suggestions on video, audio, and tone and delivery. 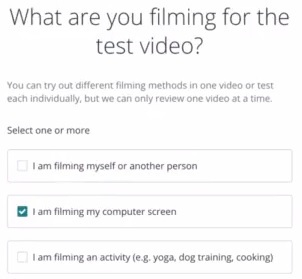 On the next screen, it’ll ask you to upload your test course video that’s 1-3 minutes long. 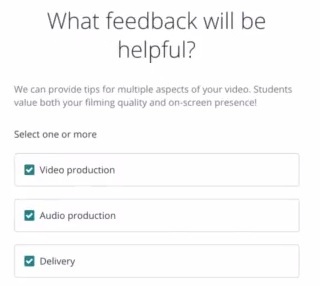 Just select the video file you have created and then click on Submit for Feedback. Once you have submitted your video, it’ll take 2 business days for the review and then you’ll receive an email notifying you that it’s done. That works well with me since in a couple of days, I’ll be finished with some of my outlining. This will just give me a heads up on whether I need to tweak any of the studio related stuff or other things I might need to adjust. Are you creating a course? If so, what is the topic about? If you’ve already created one…leave a link to it in the comments below! Need help getting your first course created and selling…even if you don’t have any marketing skills? Join the “Launch Your 1st Online Course” free Facebook Community and get actionable tips and support for building your very first (or second) course today!